In 1995, A Bathing Ape issued its first two camo patterns, ‘Rigid Raid’ and ‘Wood Chip’, both of which were designed by Skatething. 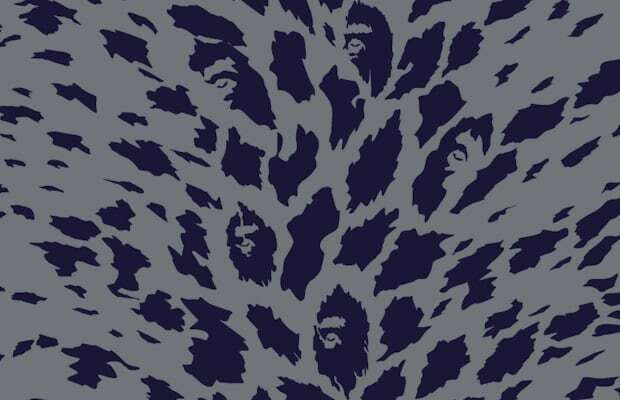 The following year, Mankey’s ’Duckhunter Ape’ pattern was introduced in which an ape’s head is incorporated into a version of the ‘duck hunter’ camo used by so many militaries across the world. It has become the company’s house camouflage pattern and has been used in a variety of collaborations as an instant signifier of the BAPE brand. Medicom Be@rbrick and Baby Milo figures, Pepsi-Cola drinks cans, and adidas trainers are only a few examples of its widespread use. Other patterns reappropriated by BAPE designers include the Swedish trial pattern made by Barracuda, the Soviet military’s ‘sun-ray’ pattern, British ‘DPM’, the US ‘six-colour desert’ and ‘night- time desert grid’ patterns, and the American ‘ASAT’ (All-Season, All-Terrain) hunting camouflage.